A concise and thorough review of the intersection of cognitive neuroscience and human factors and ergonomics. 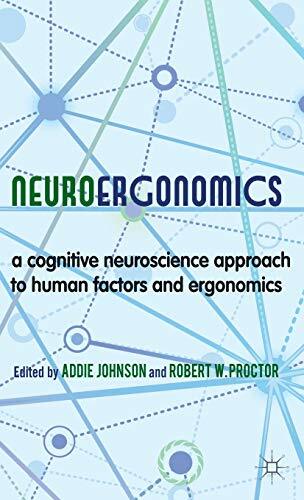 This book covers the foundations and successes of Neuroergonomics, combining neuroscience and ergonomics to enhance efficiency and safety in work environments. An overview of the essential areas within the field is given with chapters on brain networks, perception, attention, and performance. New developments in brain monitoring, molecular genetics, augmentation of human abilities, and cognitive modelling are explored and serve to illustrate how our increasing knowledge of the brain is being used to change how we work. Johnson and Proctor's book is a seminal text for Neuroergonomics, providing a key introductory outline of this expanding new field and a valuable source for all those interested in and studying Neuroergonomics, applied cognitive psychology and human performance.